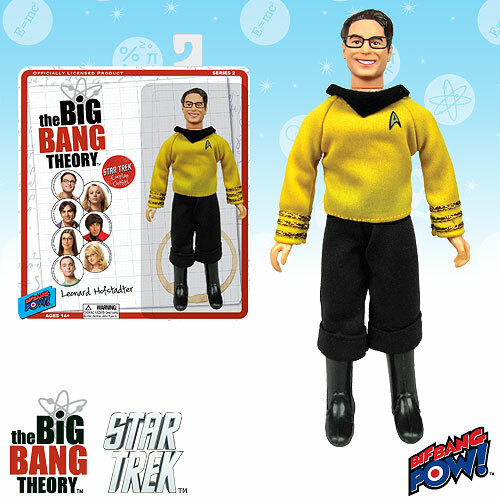 For last year or so, there has been a growing range of co-branded Star Trek and the The Big Bang Theory merchandise, including clothing, apparel, and toys. 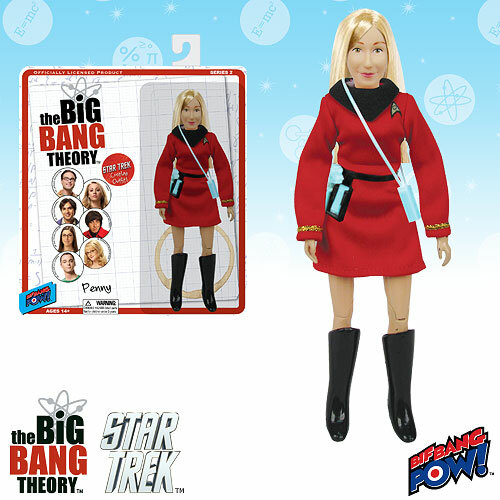 The latest entry into this collection comes from Bif Bang Pow, in the form of Mego-style retro action figures of all the main Big Bang Theory characters, in TOS Starfleet uniforms - There have been several other toy versions of the Big Bang guys presented Star Trek style, but this is the first time the female characters have been included. 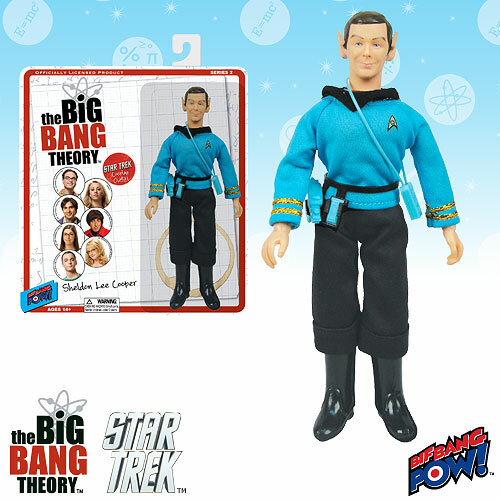 This new series casts Leonard as Captain Kirk, and Sheldon as Spock (complete with very pointy ears). 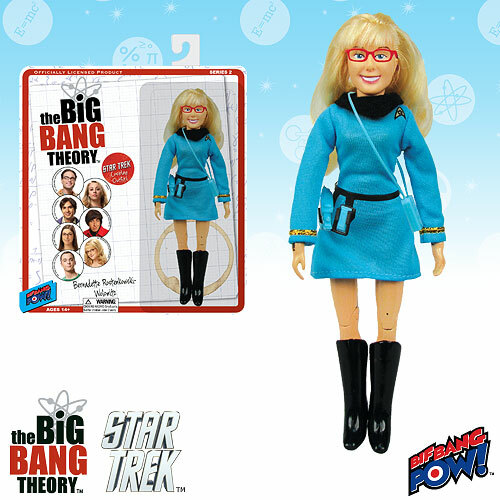 The science department is filled out by Amy and Bernadette, while operations is manned by Penny, Raj, and Howard. 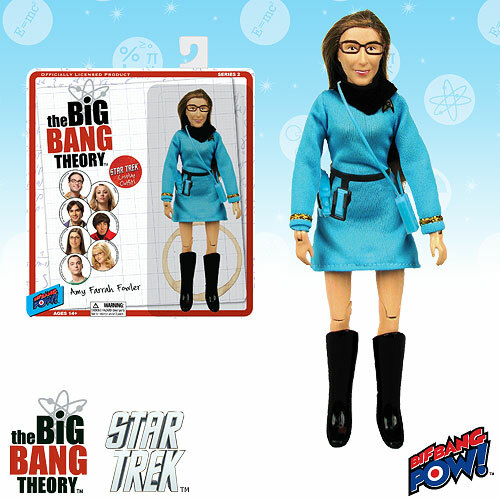 I raise a quizzical Spock-like eyebrow at the ranks here, as all the female characters are at least a rank below the males! 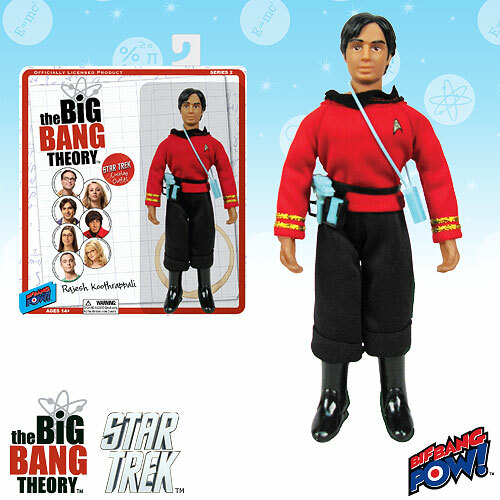 Entertainment Earth have all seven available for pre-order, and anticipate an October release. 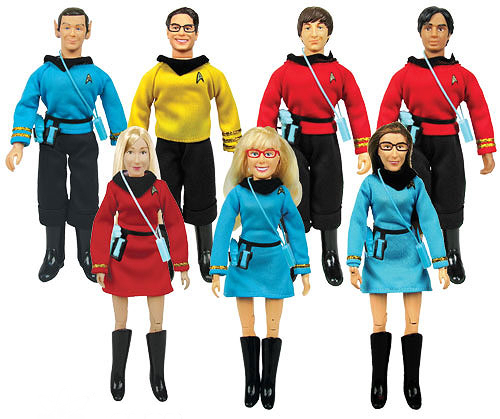 They are limited to the rather curious figure of six-hundred-and-two of each character. Continue after the jump below to see the full range.